What are we negotiating? Women are claiming their right to be priests. They are meeting resistance from the men with the power and privilege. Unfortunately you must fight for what is right. By fight I mean be persistent, not do anyone harm. No, you don't "fight for" what is right. You do what is right. You do what is right, no matter the cost. You do what is right irregardless if anyone else on the face of the earth cares to join you or not. You do what is right irregardless of what anyone says about you. You do what is right and you likewise support ONLY those others who will also do what is right. That's what changes everything. Fighting, arguing, changes nothing; you'll simply be fighting and arguing in circles for the next 20 centuries, having done absolutely nothing. How does one do change? One negotiates for change. How does one negotiate? One points to the fact that without the support of women the Church will crumble to dust. The hierarchy does understand this fact. What women need to understand is that this fact more than entitles and enables them to demand equal voice and representation in the hierarchy, decision-making, theological development, and instruction of the Church. Negotiation is not begging, pleading, waiting, and cowering before a powerful exclusive hierarchy. Negotiation does not consist of endlessly arguing with a powerful exclusive hierarchy nor succumbing to either its intimidation nor its seductive flattery for yet another 2000 years. Negotiation consists of making DEMANDS of the hierarchy as a mother fearlessly stands up and makes DEMANDS to ensure the health, security, and well being of HER children. She also absolutely refuses to settle for less than that those demands be met in HER Church, or she will draw the more than obvious conclusion that it is not her Church at all. All that is required is for women to be willing to abandon the Church and allow it to fall into dust if their demands for female representation are not met. 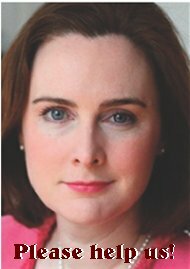 Negotiation is simple.... if women show themselves willing to support the Church only to the exact extent that the hierarchy shows itself willing to support women and children..... the hierarchy will be forced to grow up and admit their current position on women and children is completely untenable. Disfunctional relationship between men and women survives only as long as women are willing to participate, support, and model it as the will of God for themselves and their children. In order to end being treated as an inferior being, you have to stop playing the role of an inferior being while whining, arguing, begging, fighting, or demanding that others change. Others do not need to change, you do. umm... this is missing a few points. it is based on the assumption that the heirarchy is the only place that needs to change and it and also assumes that all women are on the same page. making change happen includes building the critical mass needed for change to happen. This includes the work of conversion of others. also what 's in the Church is only the tip of the iceberg of what's in the world. Your idea of fighting and mine are probably different. Making DEMANDS? That is fighting for what you believe. But I would not plead or beg. I would stand firm and refuse to be driven out. I agree with this also. there is sexism everywhere, not just in the Catholic Church. But the Church provides no refuge. This morning at Mass the Adam and Eve story was read. It made me sick and ruined the rest of the Mass for me. "Stand firm and refuse to be driven out...." What about the power differential happening here? Hierarchy excommunicates, interdicts, won't let some people be part of Catholic community or get eucharist, silences them and will not let them be part of the group or publish their work and decide the destroy their books, even today this goes on! How does one then "stand firm and refuse to be driven out" in such circumstances as these? Paul Gorrett aptly called it the "Incredible Shrinking Catholic Church" in an article posted on this website, and if the parish is encouraged to be hostile to anyone who supports gender equality and tells them they are not welcome due to their opinion that women equal God and should be ordained, and they must "obey Catholic rules" or leave, how do you counteract such a culture of intolerance for women? Jesus was driven out and ended up in Samaria and the faith spread to Greece, Syria, Egypt and beyond. Hmmm, I am seeing a pattern here. Driven out seems to be a cornerstone of the faith made by Jesus. We are all part of the Body of Christ. Reclaim your body and help it heal. Peaceful demonstrations----- part of that which is effective is to withdraw economic and behind-the-scenes support. Withdraw money contributions and voluntary labor. Women end up doing most of preparation work for masses and celebrations at church and priest comes in at end and all is done for him by others. The capper is often the priest or bishop comes in at the last second and denounces the choice of music etc. even though this was handed into him weeks previously and he never bothered to look at it till right before the mass ! Seen this happen often! Instead of gratitude for all the work the women did, nitpicky contempt can happen. Priests, bishops too lamenting why are not more men instead of women being eucharist ministers instead of being grateful to the women willing to volunteer at the mass. Seen a lot of that too! "Fighting" involves conflict and/or argument. I do not advocate engaging in conflict and/or argument. Women provide valuable service to the Church. Women also provide the most valuable thing on the face of the earth to the Church, its future.... in the form of their children. I don't advocate conflict, I don't advocate argument, I advocate women making serious demands of the Church by putting a pricetag on the valuable service they provide the Church. What pricetag? That the hierarchy of the Church quit playing "dress up" as Christ and start behaving like Christ by acknowledging that women's talents and spirituality are no less than men's and admitting women to all levels of administration, governance, and teaching in the Church. As it is, the Church is governed exclusively by men who model and teach disfunctional relationship between men and women as the will of God. It is an unfit model and teaching to present to children. As for standing firm and refusing to be driven out? Please be aware that legally you are a guest in the Church, there only by the permission of the hierarchy. We disagree totally. A guest? I am a member of the body of Christ. We collectively are the Church. It is not a building or one person or a small group of clergy. Fighting for what is right does not need to involve violent conflict as you imply. It involves being strong and standing up for what you believe in. It involves spreading the message to the faithful and helping them to see. It is my Church also. They can excommunicate me in their minds but never in reality. My reality is from Christ. The body of Christ is gargantuan and includes far far more than merely the Roman Catholic Church. The body of Christ also includes a whole lot of people who won't even go near a Roman Catholic Church because they consider it too unChristlike and only on the fringes of the body of Christ. As far as the Roman Catholic Church goes, the Roman Catholic Church is a legal entity and organization governed by its appointed representatives, its hierarchy. The hierarchy can indeed excommunicate you from membership in the Roman Catholic Church as they choose and that is very much reality. They can also evict you from the Church, in which you are legally defined as "a guest" in spite of your baptism and membership. If you are an "uninvited" (excommunicated) guest, you may be arrested and forcibly removed by the police from Church properties for illegally trespassing, for being there without permission from the hierarchy, and they can prosecute you in a court of law. That's the law. Being strong and standing up for what you believe in involves helping others to see? That is fine, but their seeing doesn't actually in itself have the power to change anything. Actually changing things involves learning how to leverage those in power who have no intention of changing. If you want to leverage power (ask any negotiator) you have to learn how to make some demands in exchange for your service. Perhaps that is what is needed. Evicting a faithful Catholic. Perhaps it needs to be in the open, not in the shadows. With your view of what the Church is, it is no wonder you left. I do not see it the way you do. I am not afraid of eviction for my beliefs. So far they haven't. As far as negotiation goes, it involves compromise. There is no compromise regarding exclusion of women from the priesthood. What is needed is confronting the situation and persistance to effect change. Two hands clapping!!! Brava!! Brava! This is so well said! a whole lot of people who won't even go near a Roman Catholic Church because they consider it too unChristlike and only on the fringes of the body of Christ. It is a pity this attitude still persists. This used to be the teaching of the Seventh Day Adventist Church. They changed the teaching when they grew to understand that it was a view based on prejudice and that it hurt Christian community by virtue of it being an attack on the countless numbers of genuinely sincere, deeply faithful Catholic Christians. People don't get evicted for their beliefs, words, nor arguments; none of that threatens the hierarchy. People get evicted for their potential to leverage power away from the hierarchy. Take a look at those who have been evicted. Even the most seemingly insignificant people have power. I requires making your presence known. Don't under estimate the ability of anyone to make a difference. I don't know any Christian denominations that teach that Catholicism is unChristlike, nor any that regard the Catholic Church as being of any particular interest to them as a matter of discussion. I was speaking of former Catholics whose opinions reflect their personal experience within the Catholic Church, who regard the Church as a hot topic of discussion, but who have not discounted themselves from the body of Christ. Thanks to the abuse scandal and how it was handled there seem to be a lot of them in this town and they often appear to be offended by those Catholics who seem to regard the body of Christ as beginning and ending at the doors of the Catholic Church.